The Banks Public Library is closing at 5:00 today due to the weather. You can find Banks' contact information here. I appreciate the ability to read books on my kindle very much! 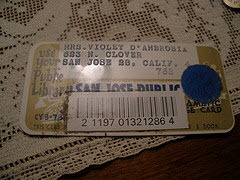 I do have a small problem with my actual library card as the plastic is peeling off because it is so old. We loved this comment because it kind of sums up what libraries are these days - a favorite place to go, learn and explore, ever since childhood. But then you can also download books for your e-reader without every stepping foot in the building. It's an exciting time for libraries. We're still a well-used old favorite, like the peeling library card in your wallet, but at the same time, if you have a shiny new tablet or e-reader, you can borrow ebooks from us! If you do need to get your library card replaced, please visit your local WCCLS member library for assistance. Of course, that library card number will also get you access to downloadable ebooks and audiobooks at Library2Go. Some WCCLS member libraries will be closed on Monday, February 20th in observance of Presidents Day. Last week, the publisher Penguin announced that they were terminating their contract with OverDrive. OverDrive is the vendor of the service that powers Oregon's Library2Go website for ebook downloads. This means a couple of changes for users of Library2Go. Looking at WCCLS' annual report for fiscal year 2010-2011, the numbers really speak for themselves. WCCLS libraries are well-used! You can now access selected TumbleBooks on your iPad! Start by visiting the TumbleBook Library (with your WCCLS card handy) on your iPad. The deadline for the Teen Summer Reading Art contest is fast approaching! Submissions are due by February 29th. Read our original post here for all the details, including entry rules and forms. Have fun! We're looking forward to seeing your submissions. The RFID project at WCCLS is well underway, and two libraries have now been completed! As you can see by our progress meter, Hillsboro Main and Hillsboro Shute Park have had their materials tagged with RFID tags. 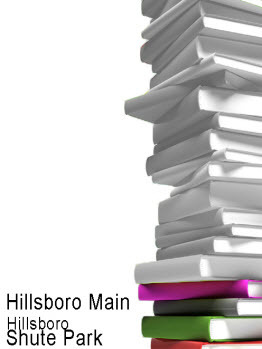 Shute Park had over 80,000 items processed, and Hillsboro Main had over 173,000 items!